What Does a Kids’ Pastor Do Anyway? “It’s complicated” is the short answer. Not complicated like trying to use String Theory to reconcile the differences between Quantum Mechanics and General Relativity in the post-renormalization era of physics or explaining to your 5yr old why Garfield can talk but Odie speaketh not. But still, it’s complicated. We do a lot of stuff. We wear a lot of different hats. Sometimes I wear a top hat like the Monopoly Guy when paying the bills, but my wife said it doesn’t match my Phineas and Ferb pajamas so I’m not allowed to do that anymore. But why do I do what I do? Do I do what I do to get an unlimited supply of goldfish crackers, gummy worms, and free Bible Man paraphernalia on the church’s dime? Do I do what I do to have an excuse to watch Saturday morning cartoons without my wife thinking I have regressed to a second childhood as coping mechanism for no longer being in my 20s? Do I do what I do to justify the flannel graph line item in my Financial Peace University budget? Do I do what I do to prove to the world that summer at Balloon Animal Camp was not a complete waste of time and truly does fit into God’s Plan for my life? I help close the gap between where kids are in their relationship with Christ and where they can be. I think that’s what all of us who are in Children’s Ministry do. We stand in the gap for kids. We stand in the gap when maybe no other adult will. Kids need adults who will stop at nothing to help them win at life. That’s what standing in the gap is all about. Our experience, knowledge, resources, and availability are a bridge kids can use to get from where they are to where they can be in Christ. If you’re reading this and are not in Children’s Ministry, chances are you are a devoted friend or a relative who needs something (no Cousin Frankie, Garret can NOT have my Phineas and Ferb pajamas. Tell him to get his own. These are mine, mine I say!) Regardless of which category you’re in there are kids in your world who need you to stand in the gap for them. They need you. They need who you are to help them be who they can be. Don’t ignore them. If you’re reading this and are in Children’s Ministry, thank you. Thank you for answering the call to be a bridge. Thank you for putting up with other adult’s misunderstandings of what we do. 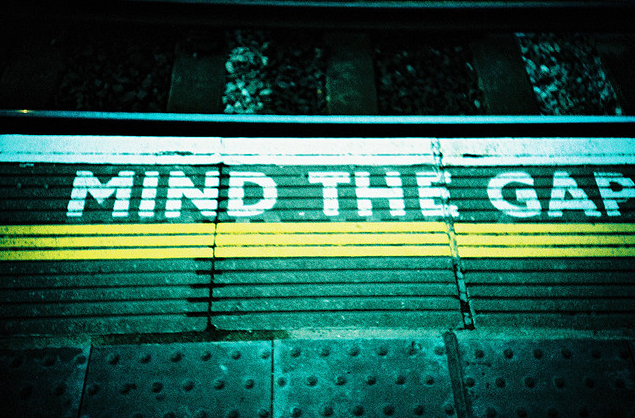 You are closing the gap more than you know. I am often asked the question, ‘So what do you do during the week?’. In my short time being a children’s pastor I’ve discovered the position isn’t always structured the same every week. There’s a lot to get through during the week, but this is often put aside when an unplanned need arises. I’ve learnt you need to be very flexible, in your skills set and in your time management. At the end of the day “We stand in the gap for kids”.